Android is a user-friendly and quite customizable mobile operating system. If you’ve used multiple mobile OSes like iOS and Windows, you’ll know how convenient it is to customize an Android device. You won’t find any restrictions on Android devices, unlike other platforms where are bound to restrictions. If you’ve rooted your Android device, you’ll enter another level of freedom where you can do almost anything on your device. Xposed framework is one of the main reasons anyone would want to root their device. Installing Xposed modules let you customize the design and functionality of your device without touching a piece of code. Xposed is a framework for Xposed modules that can change the behavior of the system without touching any APKs. So, you can modify the functionality of individual components on your device without flashing a whole new ROM. As all the changes are made in memory, all you need to do is to deactivate a module to revert changes. Moreover, there is a very minimal chance of bricking your device with Xposed. You can choose multiple Xposed modules and activate them to have the desired changes on your device. 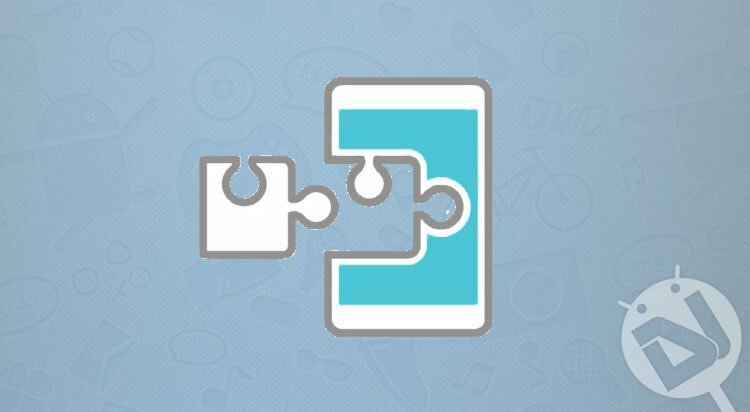 You can browse tons of Xposed modules from the official Xposed Module Repository, but it would take a lot of time to choose the best. We’d bet you’d wind up in confusion after seeing loads of awesome Xposed modules to download. So, we have listed out some of our favorite Xposed modules in this post. You can download the best of the hand-picked Xposed modules from below. If you need any assistance with Xposed installation or module activation, you can check our tutorial from below link. Xposed Framework is a universal framework that works with Android 4.0.3 to Marshmallow devices. As of today, Android Nougat is not supported by Xposed, so we need to wait a bit longer until the developers make it work on Nougat. So, let witness some of the awesome Xposed modules. Gravity Box is the sole reason for many rooted Android users to install the Xposed framework. One can always find the Gravity Box in the top 5 Xposed modules list. It’s compatible with Android JellyBean till Marshmallow, and it’s unbelievably comprehensive tool. It’s an all in one module that’ll tweak almost all parts of your Android OS. You can do amazing customizations with it like activating Pie controls, launcher tweaks, customizing hardware key actions, notification toggle tweaks, power menu tweaks, etc… We can do a standalone post for Gravity box alone, but we’re in a bit of hurry to provide you some other cool modules. So, grab the Gravity Box Xposed module from the official XDA thread and explore it. Greenify is the only app you’ll ever need to save your battery from resource hogging apps. Once you install the Greenify app, it’ll identify and put the misbehaving apps into hibernation. The hibernated apps can do nothing without explicitly launched by you or other apps. Greenify will help save a considerable amount of battery life on your device. Although Greenify is not only an exclusive Xposed module, it works better with the Xposed framework rather than a standalone app. We know how precious is the battery life on Android smartphones. So, we’re including one more battery-saving Xposed module in the list – Amplify Battery Extender. It’s best considered as a companion to Greenify and covers a separate segment for saving battery. While Greenify focuses on apps running in the background, Amplify takes care of wake-locks which are responsible for preventing your device from entering deep sleep. So, you’ll no longer see a drained battery overnight and wonder what consumed the device’s battery. You can download the Amplify Xposed module from the below link. XPrivacy is a useful Xposed module that manages permissions on your Android device. Privacy is the main concern on smartphones after so many apps popping out of nowhere. Even after the granular permissions in Marshmallow, many users are still worried about the privacy. In Marshmallow, all apps automatically get the Internet permission; this can be a vulnerability for malicious hackers. So, XPrivacy will ensure that only the required apps get Internet access. Privacy is an important concern in today’s digital world. So, installing apps like XPrivacy and monitoring potential vulnerabilities is recommended for any user. You can download the app from below. Awesome Pop-up Video is a truly awesome video player which lives up to its name. It can play videos in a pop-up window which can overlay on other apps. So, it achieves true multi-tasking on your Android device. I’d prefer the Multi-Window mode on Android Nougat to the Awesome Pop-up Video. However, since the Xposed framework is still not supported for Nougat devices, the Awesome Pop-up Video is still eligible in the top 10 Xposed modules for Marshmallow and below Android versions. Zoom for Instagram is the only app every Instagrammer would ever need. It adds the missing feature in the Instagram app – the function to zoom photos in the Instagram app. Just install the Xposed module on your device and enjoy zooming pictures on Instagram. There’s a standalone app by the same name in PlayStore which doesn’t need the Xposed framework. It’s from the same developer and it doesn’t require root, but it’s a bit hectic workaround. You need to copy the Instagram photo’s URL, and it will open the picture in the Zoom for the Instagram app. Unlike this, the Xposed module will add this functionality right into the official Instagram app. You can download the Xposed module from here. If you want to download the standalone app, get it from below. YouTube is the center for all the mainstream music and viral videos, and we can’t get through a day without watching a video on YouTube. However, sometimes we wish YouTube can be played in the background so that we can enjoy the music while doing other tasks. Oh, wait!!! You can do that YouTube Red only if you’re willing to pay an absurd $9.99/month for a just removing adds and background playback. I’ll take a pass on that, thanks to “YouTube Background Playback” Xposed module. Once you install this module, just open any video on YouTube and leave the YouTube app without exiting. That’s it! You can now enjoy YouTube in the background with ten bucks still in your pocket. Download this awesome Xposed module from here. you try this YouTube mod. 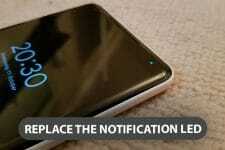 Are you experiencing longer boot time on your Android smartphones? Then “Boot Manager” Xposed module is the thing you need. Many apps start at boot which increases the boot time unnecessarily. If you review these apps, most of them don’t need to be started at boot at all. Boot Manager helps you manage apps that start at boot. Just choose the apps you don’t want to automatically launch at boot and reboot your phone. WhatsApp Extensions is another Xposed module we’ve recently tried, and it works flawlessly. It’s an improved version of the popular WhatsApp+ app which was banned by Facebook a while ago. The WhatsApp Extensions Xposed module adds additional features to the standard WhatsApp app like hide last seen, hide read receipts, hide delivery reports, lock individual chats, highlight chats, per contact custom wallpaper and lot more. You can check for our full review from here. Download WhatsApp Extensions from here. Although not an all-time favorite, Android-Nify still makes it to our top 10 Xposed modules list. 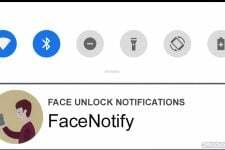 Android-Nify, as the name suggests, would turn the interface on your device running Lollipop or Marshmallow to Android Nougat. It’ll turn everything into Nougat, like the quick settings, new recent apps, double press recent button to open last app and more… It will even help you get the Google Assistant and other feature from Google Pixel. Cool, Isn’t it? Let us know your favorite Xposed modules in the comments section below. Share your favorite Xposed modules so that others can be benefited.